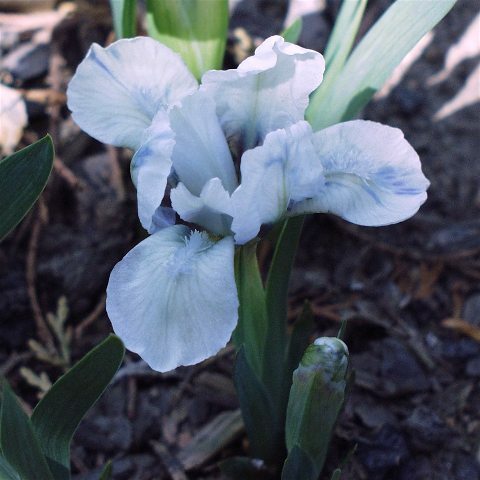 'Tiny Tiara' (Anthony and Dorothy Willott, R. 1993). Sseedling #2-141. MDB, 5" (14 cm). Midseason late bloom. Lightly ruffled icy white; beards white. 'Daisy Fresh' X seedling #79-13: (Greenlee seedling #GX-2: (('White Mite' x self) x ( I. pumila alba X 'Hanselmayer')) x 'Buttons'). Willott 1994.